We intend to make payments quicker and easier for you and your customers using contactless payment readers. We have made this possible through our integration with iZettle, which currently works in UK, Mexico, Germany, Spain, Sweden, Norway, Finland, Denmark, Brazil, The Netherlands and France. There are no monthly fees and no lengthy subscriptions. Just pay a small transaction fee and pay for your business and personal expenses in just a few minutes. To use iZettle with RepairDesk iPad POS Register app, please follow the step by step guide below. A. Connecting iZettle device with RepairDesk iPad POS Register App. 2. Open iPad Settings à Bluetooth à Search for available device to pair. When you get your iZettle device listed in available device list, click on it to establish connection. 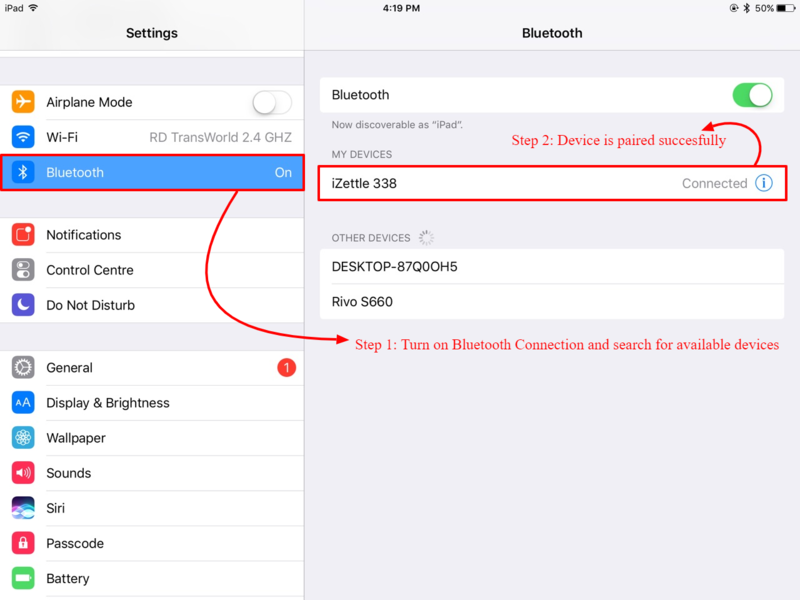 Note: If u didn’t get iZettle device in bluetooth list then hold the blue button for 8 seconds and it will be discoverable for all iPads. 3. Tap on iZettle, it will search for the devices to pair and once connected successfully, its status will be changed from Not Connected to Connected as shown below. It will redirect you to hardware settings screen from where you have to select Izettle as payment device. Select your country from the list of available countries in drop down and get back to POS screen to make transaction. 1. To successfully process payment with iZettle, create a repair ticket following the link here. If you want to generate an invoice from that repair ticket, please follow the link here. 2. 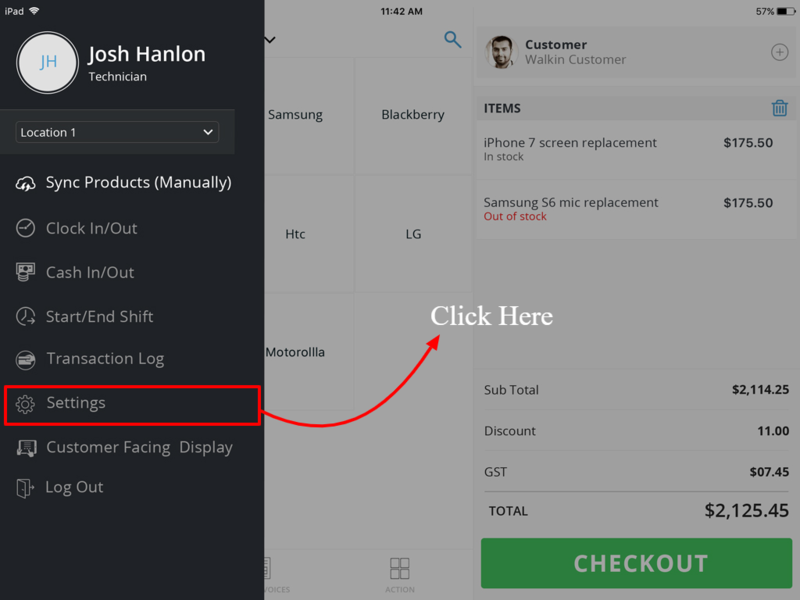 Once you have created the repair ticket/invoice and hit Checkout, you will be directed to order confirmation screen from where you have to select iZettle as payment method. 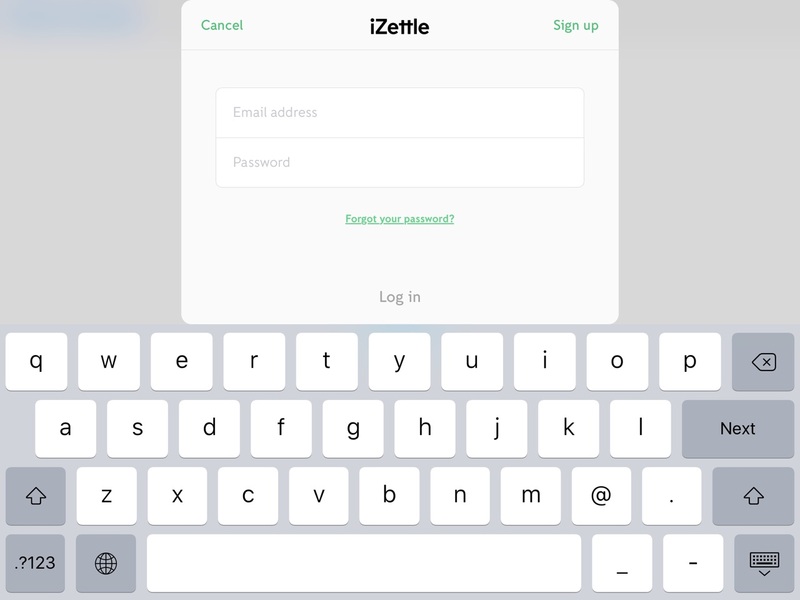 It will ask you to enter log in credentials for iZettle account and once you are logged in, you can make payment through iZettle. Note: You only need to Login to iZettle account for the first time. Once you have logged in successfully, it will not ask you to login again while making payment next time. 3. Once logged in successfully, it will redirect you to following screen where it will display the amount to be paid. Enter the amount and hit confirm button. 4. It will ask you to insert the card in the iZettle device to pay through the card. You can also make contactless payment by tapping the card on device. 5. On inserting the card, it will ask for the card pin and once you enter the pin from iZettle device, your payment will be deducted from the card and it will display the message for payment successful. Q. Can I offer refund using iZettle? A. Yes we do offer refund functionality through iZettle. To offer refund, view paid invoices and open invoice that you have paid through iZettle. The invoice will re-open in cart. Hit Refund button. 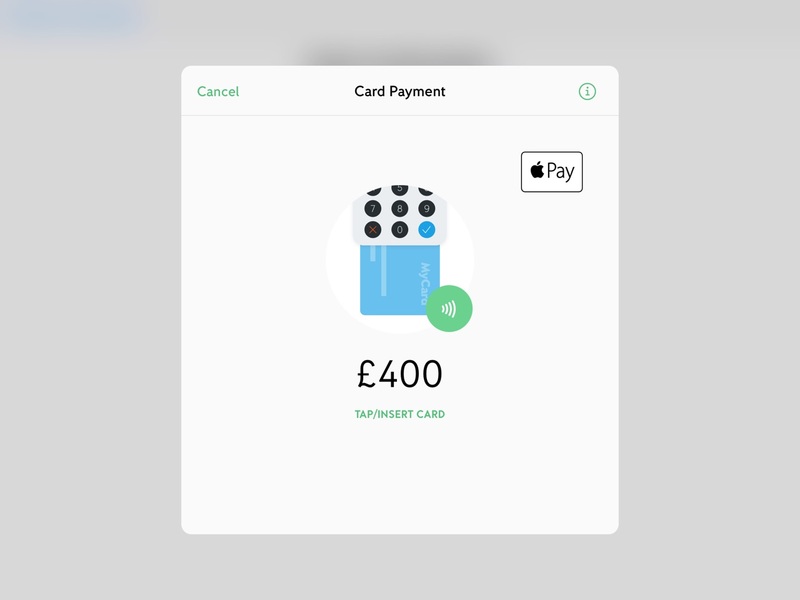 You will be directed to payment screen from where you have to select iZettle as payment method and enter the amount that you want to refund and hit complete payment button. It will fetch data from iZettle and entered amount will be refunded to iZettle account. Q. Can I split payment through iZettle? A. 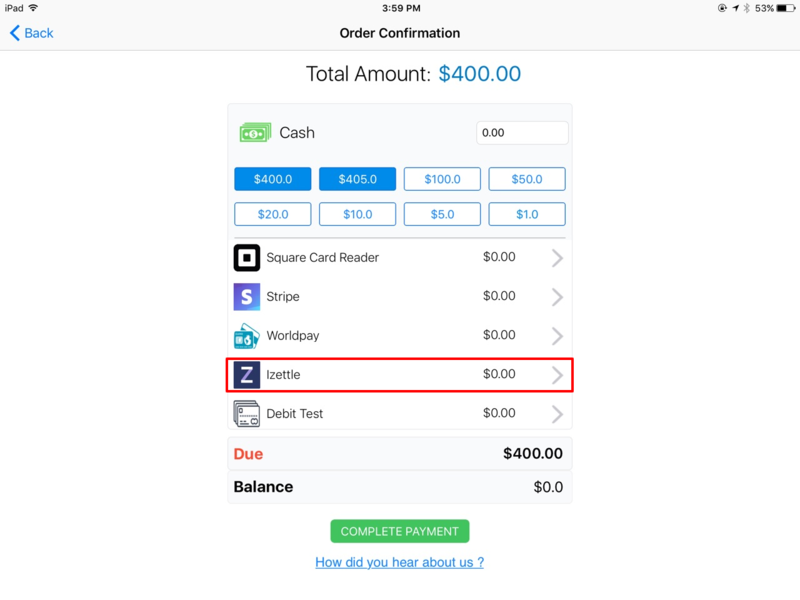 Yes you can split payment through iZettle. Its all your choice and you can pay both through cash as well as through iZettle.